Amilla Fushi and Finolhu Maldives have announced a range of special activities for the upcoming Eid al-Fitr holidays. iLm Hammam treatment (USD 400+ per couple): The 90-minute Hammam treatment is a purifying and softening ritual that includes black soap kessa glove scrub. An organ seed scrub and rhassoul clay is then applied over the whole body before soothing rose milk is poured onto the skin for superior nourishment. Finally, body cream is applied for glowing radiance. Dolphin cruises with Bodu Beru (USD 70+ per person): Cruise across the ocean to Maldivian music while spotting dolphins jump and play alongside. This cruise is free for children aged one to five years, but children aged 6-12 years will be charged USD 35+ per person. Family bonanza water sports (USD 350+ for an hour): Families can participate in several water sports activities, including wave toys, wake boarding, knee boarding, water skiing etc. Parasailing: Flying hundreds of metres high, guests can enjoy the birds eye view of tiny, pearl-like islands. A solo flight of 15 minutes (130kg max) costs USD150+ while a tandem flight of 15 minutes (130kg max) costs USD 300+. Jetski tour and excursion (USD 350+ for two persons for one hour): Enjoy the sun, sea and marine life during an absolutely breathtaking guided tour. Additional hour costs USD 250+. Amilla will feature Eid dining specials: Taste of North Africa by Chef Nadedja at Mystique Garden on June 25; Maldivian night with an Arabic twist at Baazaar on June 26 featuring Tanoura dance, belly dance and traditional Maldivian Bodu Beru; and lunch buffet with an Arabic twist on June 27. All Residence guests will also be treated to a complimentary special sunset tea with Shisha and a personalised after dinner arrangement upon request. Accessible by a 30-minute scenic seaplane flight from the Maldives’ main Velana International Airport, Amilla offers a choice of 59 houses that sit gracefully over crystal clear waters, nestled among lush tree tops or hugging the shores of pristine white sand. Additionally, the resort offers eight spectacular four to eight bedroom Beach Residences ideally suited to large families, groups of friends and VVIPs seeking the ultimate in space and privacy. BFF Club (USD 160+ per person/USD 300+ per couple): For 90 minutes, pamper your inner beauty with a friend or a loved one. This package includes a selection of 30-minute back massage or 30-minute back rub; a selection of 30-minute face massage, gentleman mini facial or a 30-minute mini manicure; and a selection of 30-minute foot massage or 30-minute mini pedicure. Private sunset cruise (USD 450+ for one and a half hours): Experience sunset in true Maldivian style with a cruise onboard an authentic Dhoni. Private sunrise or sunset fishing (USD 600+ for two hours): Race against dawn and capture the spoils of the reef as the sun rises on the horizon. Private discover scuba diving (USD 880+ per couple): This is the perfect introductory session for those who have never tried scuba diving before. Get around local village (USD 85+ per person): Soak up true Maldivian culture at a local village where you will be immersed in traditional customs. A special Eid lunch featuring live kitchen will take place at Baa Baa Beach Diner from 1-3.30 pm on June 26. Full board covers the special lunch, but USD 90+ will be charged for those staying on bed and breakfast and half board basis. Additionally, a Bodu Beru show will be held on June 26 followed by a traditional Eid Maali parade the following day. Bringing a timeless sense of style to the pristine lagoons and rich waters of the Maldives’ Baa Atoll, Finolhu, which opened last June, is a refined, retro-inspired island paradise for the fun-loving beach-erati, and an unexpected revival of the halcyon days of the classic chic getaway. 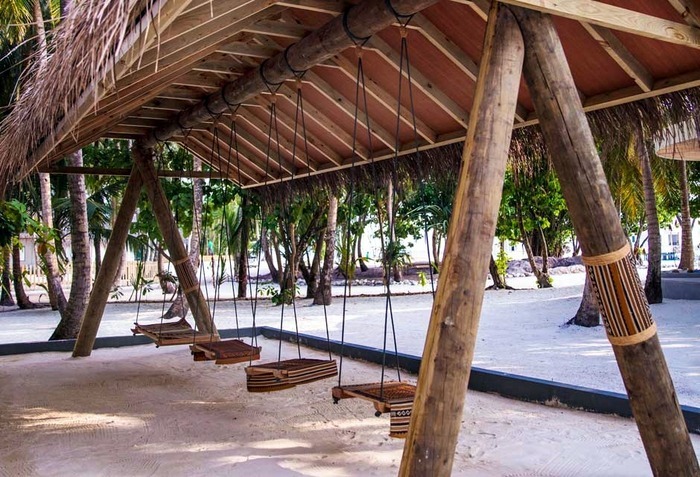 With its retro themed Maldives island concept, Finolhu caters to guests seeking fun and adventure on a party atmosphere. Eid al-Fitr is an important religious holiday celebrated by Muslims worldwide that marks the end of Ramadan, the Islamic holy month of fasting. In the Maldives, Eid al-Fitr is celebrated widely with traditional dances and games. Middle East, which is predominantly Muslim, has become a major emerging source market for the Maldives’ tourism industry. Official figures show that 51,330 tourists — 42.7 percent of which were Saudis — visited the Maldives from Middle Eastern countries last year, a 22.3 percent increase over 41,976 the year before. 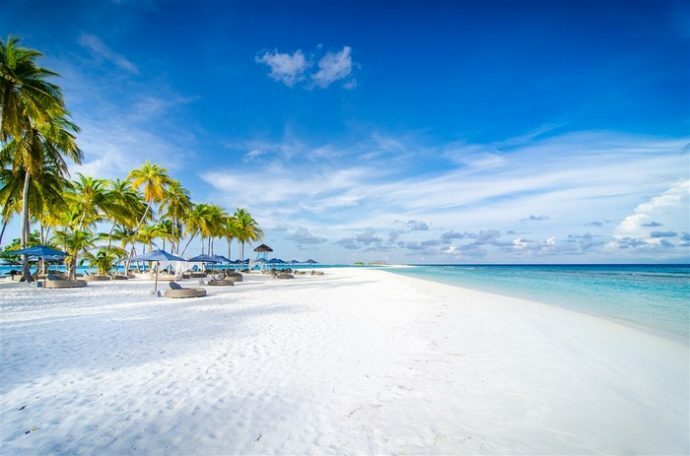 That growth is set to continue this year as well, as Middle Eastern travellers that chose to travel to the Maldives for their holidays increased by 3.9 percent in the first two months of the year.